Less Super Stylish, More Carefully Selected, and Comfortably Attired…. How important are clothes to you? Describe your style, if you have one, and tell us how appearance impacts how you feel about yourself. Goodness, this is such a big question for me! In terms of personal style, other people, especially friends, often tell me they like what I’ve chosen to wear that day, or ask me where I buy my clothes. I’ve come to prefer buying most of my clothes from George at Asda because if I choose what I buy carefully, I can get really lovely things for a reasonably friendly price. There is a smallish local store near where I live, which saves a lot of energy I don’t have, and I can try things on at home. Clothes shopping can take me hours, by the time a carer and I get into Leeds, find things suitable for me, try things on, get transport home… Everything takes longer from a wheelchair, at least in my case, and all the effort I expend often ramps up my pain levels considerably (pun intended!) I’ve developed my own personal style over the last couple of years, which makes it easier to choose what to buy, but much harder to find things, as I have developed a list of criteria when buying clothes. If I do not stick to these, it just causes problems. It’s easy to see why when you see how long my list of criteria is!! Trousers: my criteria for trouser-buying and the reasons behind them could fill a separate post easily. Preferably, no buttons as I find them so difficult, and painful to use. I’ve had many an accident because I could not manage to work with the trousers in time to make the loo. Trousers with buttons mean there is a lot more pressure on the bag because of where it sits on my tummy, meaning it is so much more likely to burst. For this reason, I really need to find trousers with as much stretch as possible as this puts less pressure on the bag, and is much more comfortable for sitting for long periods of time in my wheelchair. This means generally only one style of trouser is suitable for me – jogging bottoms. An anathema to style columns in women’s magazines’’’’, as they are oh so fashionable, ubiquitous, and associated with overweight people in general I certainly fall into this particular category. I try to find jogging bottoms with a smooth waistband, as these are less likely to make an impression in the tape surrounding the bag, which is actually very uncomfortable. I have to spend so much time in my wheelchair that weight has gathered around my middle, meaning it is very difficult to find trousers which fit at all. When I can find them, I love when jogging bottoms look smarter like ordinary black trousers for example, like I would wear on a Sunday or out for a meal with friends, or on a date. If I can find trousers which meet my long list, they are usually just that very thing – too long! They do need to be slightly longer as they would look odd otherwise when I am sat in my chair, However too long and I fall over the trouser legs when going to the bathroom, not just inconvenient, but dangerous given my distinct lack of balance, or co-ordination! Leggings can also be a good option in terms of fit, not riding down, (a big problem because of my weight, and wheelchair using) and are even better if a looser fit and thicker material, which can make them a brilliant option for wearing to weddings or other special occasions with a smart top. Jackets have to fit a lot of the same criteria as tops, funnily enough, though too long and I end up sat on them which pulls on the material making then very uncomfortable. I have to be careful they are not too tight around the shoulders either, as it can make my shoulders uncomfortable for driving and look unsightly if too tight. Depending on the style, it is very difficult to find jackets that fit because of my weight. Anything with long sleeved. Sleeves which are shorter or can be turned up are much less likely to get in my way when I am driving my wheelchair, much safer and easier to see what I am doing. Dresses: I cannot ever remember owning a dress in my teens, other than a bridesmaid’s dress, as I disliked them immensely while I was still on my feet… I hated that other people could see my misshapen knees, and was SO self-conscious that other people could see the unconventional way I walked, however, since my last major operation five years ago, dresses have become something of a style savior for me. They need to be longer-line, and stretchy so as not to make my shape unsightly when sat down, and to fit over my stomach without overemphasizing my weight. They also tend to put much less pressure on my ileostomy bag – an absolute bonus. In recent months, thanks to a dear friend, I have discovered White Stuff, a great go to for my occasion wear, precisely because they sell a lot of their clothes in stretchier material, and their clothes tend to be a generous, feminine fit, and pretty to boot, even if on the pricey side, though the last time I bought from them I put birthday money and vouchers together to be able to buy it. Shoes are another minefield, and have been since I can remember, as they often are for any of my friends with a physical disability. Again, as with trousers my criteria for buying shoes could fill a separate post. What I needed when on my feet is very different now I am in a wheelchair full time. My legs and feet are very swollen because of side-effects of medication and being sat all the time. I find it tough, if not impossible to take my own shoes off, so really need to wait for help to do this, or leaning over my stomach to get to my feet can make the bag on my stomach burst (nice!) I most often wear slipper socks, or Piedero boots with a velcro fastening, as these can often be all that fits. I found this upsetting for a while, as I have always loved my shoes, and own many more pairs than I can wear, just because I don’t always have things on which need a smart outfit. Many of these shoes no longer fit. I have been known to make completely impractical decisions on occasion when buying shoes, just because I love them. The shoes I recently wore to a dear friend’s wedding were a striking royal blue colour with a suede effect and a small thin heel. My balance can be atrocious even in flat shoes, so I can well remember my Mum’s reaction when she saw with shoes I was planning to wear. This is a common problem for women with a mobility problem – the shoes we need to wear can be completely unsuitable for special occasions, though special occasion shoes can be completely unsuitable. This has caused more than one dilemma over the years! Confidence enhancing clothes are a combination of all the above, making me feel more comfortable, and less aware of bag, and make it less likely the bag will burst. Then, this makes me relax much more, making me much more confident. Not always fashionable, but hopefully usually stylish. Recently, I went to dear friend’s wedding, and the next day, to the church my parents now attend in Lincolnshire. I chose what to wear very carefully indeed. Thankfully this paid off as there were no issues, making a successful weekend for me! Today is brought to you by the letter ‘W’! When will I learn, to listen? 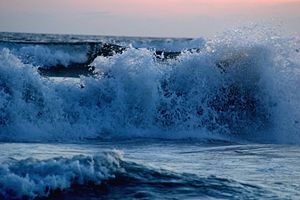 Waves roll, faster and faster as the storm within intensifies. ‘Where are you, Lord?’ I cry. Whispering, Be still my child, be still and Know, I AM. Who, or What am I? My first thoughts were, how great an idea it was, though slightly random. At the same time, I thought what on earth will I pick, and then I had my light-bulb moment. If my story is good enough, you will be able to guess from whose, or what perspective it is written.